Posted on June 21, 2013 by Niles Fence & Security Products, LLC. A major investment in wind power will protect their customers and facilities by choosing high security expanded metal as part of their security solution. WETT, Wind Energy Transmission Texas, is under construction and will be operating high-voltage transmission lines in West Texas as part of a state-wide program to deliver clean, renewable energy throughout the state. The WETT transmission facilities include 6 new substations all protected by 3/4 #9 standard expanded metal. Featuring our super-c post and rail design, the anti-cut, anti-climb expanded metal will help protect millions of dollars in infrastructure investments. The project is currently under construction and is scheduled for completion in 2013. Electric utility substations are creating a new line of defense with Securex Expanded Metal Retro-Fit Fencing. 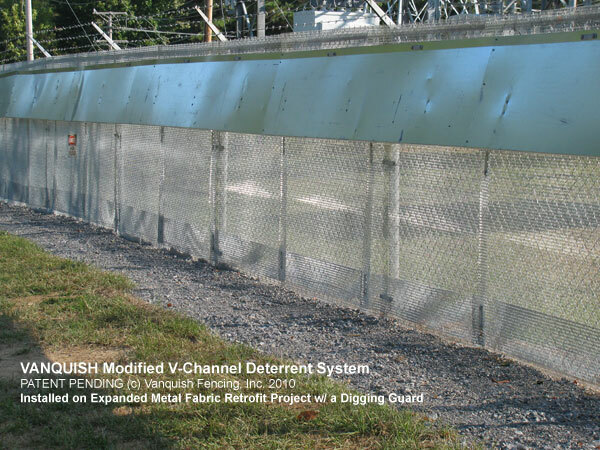 The animal mitigation system designed by Vanquish Fencing features Niles ½”- #13 expanded metal panels and the Vanquish V-Channel Deterrent to eliminate small entry points to the substations. The system forces small animals into an area of instability which prevents them from entering the facility and interfering with electrical equipment. 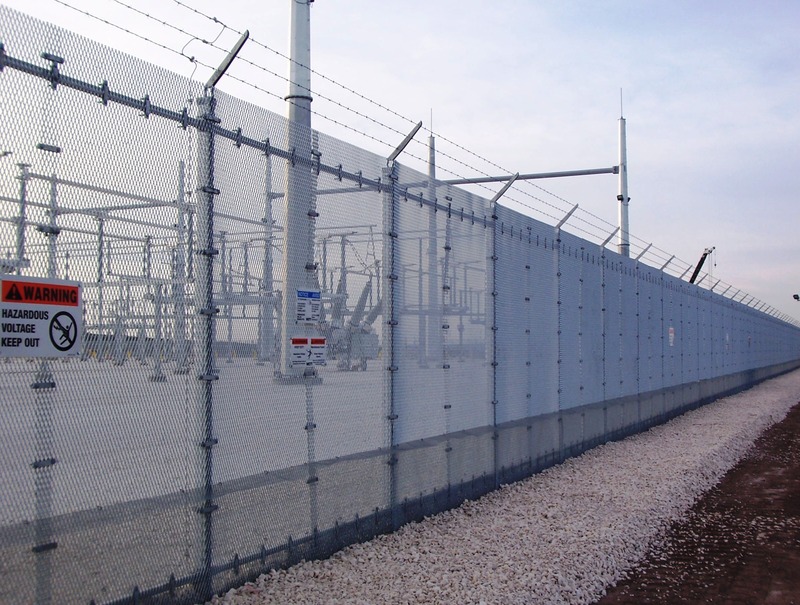 Using Niles Securex expanded metal panels; Vanquish Fencing is now able to prevent animals like snakes, squirrels and raccoons from entering the substations. Eliminating access prevents the animals from interacting with the electrical equipment and causing outages. Successful systems have been installed for several utilities including Entergy Mississippi, Inc. and Duke Energy where the technology has achieved an impressive track record for reducing animal-related outages. June 18, 2013 by Niles Fence & Security Products, LLC.